All positions recorded by global navigation satellite system (GNSS, e.g. GPS, GLONASS, Galileo, BeiDou) receivers have inherent error of around 1-10 meters which is caused by myriad sources, meaning the location it gives you is not the exact location. For example, if you use a GNSS device to measure the coordinates of a manhole on a street on two separate occasions, you will get two different coordinates for that location. When it comes to drone data, this location error transfers from the GNSS receiver on the drone to the metadata of each image, and finally is manifested in the overall accuracy of the point cloud, DSM, and orthophoto created in photogrammetry software. Surveyors often use ground control points (GCPs) in their photogrammetric adjustment done in delair.ai in order to reduce the error in drone-derived maps. But these GCPs can take a considerable amount of time to set up in the field. 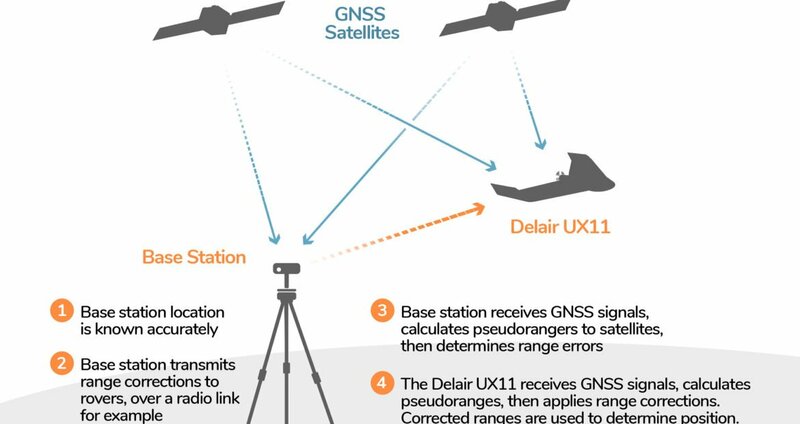 Many professional mapping UAVs, such as the Delair UX11 or the DJI Phantom 4 RTK, are equipped with high-precision GNSS receivers that enable differential correction methods such as post-processed kinematics (PPK) or real-time kinematics (RTK). Ultimately, this means that the coordinates of each photo point can be accurate to within centimeters instead of meters. The accuracy of each photo point from a professional mapping drone is generally recorded as embedded metadata in the properties (exif) of each photo. 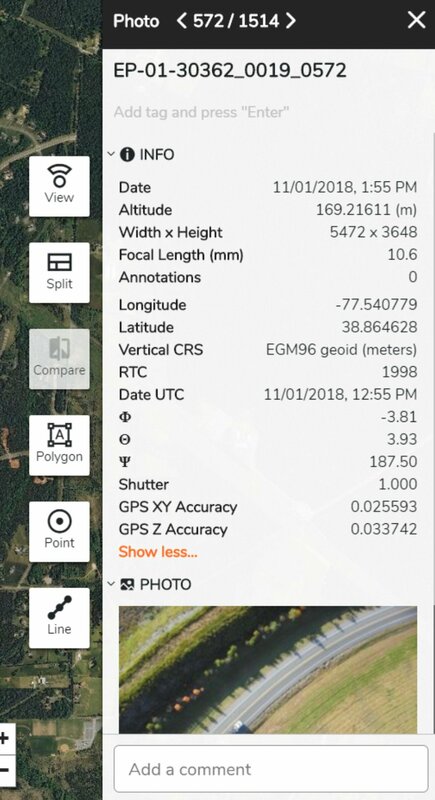 The delair.ai platform reads the exif data upon import of the drone images in order to retrieve the coordinates of the photo centers as well as those coordinates’ reported horizontal and vertical accuracy estimates. This accuracy information then constrains the photogrammetry process, effectively allowing the algorithm to move photos with high-accuracy coordinates less than those with low-accuracy coordinates. In the end, the photogrammetric processing step can not only yield more accurate map products, but can also process the data more quickly. With a high-precision professional mapping drone like the UX11 with PPK and by processing data in delair.ai, you can produce highly accurate drone maps with few or even no GCPs, depending on the accuracy requirements of your project.